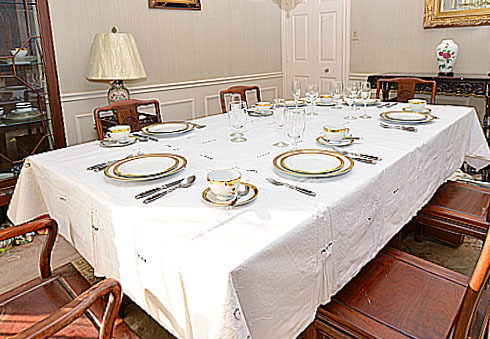 Tiffany Style tablecloths were hand embroidered. With white embroidery on white cotton. 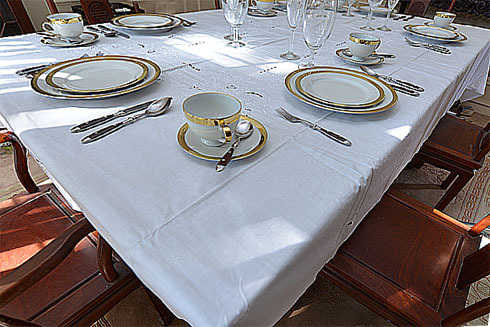 Each tablecloths come with matching 15" square matching napkins. 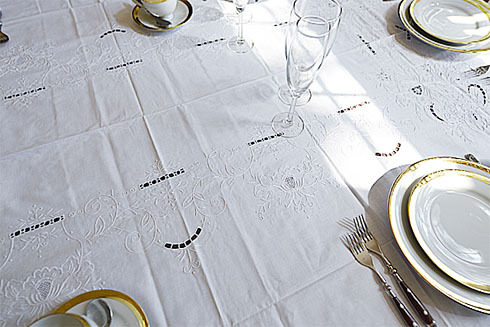 Size Price color with napkins.